In the wake of strong dissent expressed by Indian Taxi drivers, it is worth asking whether the aggregator model is one which can keep both the customer as well as the supplier (the taxi driver, in this case) happy? As we speak, numerous taxi unions are on an indefinite strike in major cities like Bangalore, Mumbai and Delhi with an overarching complaint – India’s two most popular on-demand cab companies are not helping drivers earn enough; in fact the daily earn for some cab drivers has plummeted by 80% over the last 6 months. With the intense competition in the on-demand taxi aggregation space, the two key actors in the eco-system viz. the driver as well as the customer are often left dissatisfied due to diverging demands – one party is simply not earning enough while the other party is asked to pay an exorbitant amount for a ride. Given that on-demand ride hailing has become a habit, customers are forced to accept the fares displayed on their screens under the guise of the ‘going-rate’ or the ‘price that you pay for comfort’. And there’s nothing wrong with that whatsoever – demand drives prices. Why would a company not want to charge a customer, a certain something, a premium, if there’s a demand for that service? 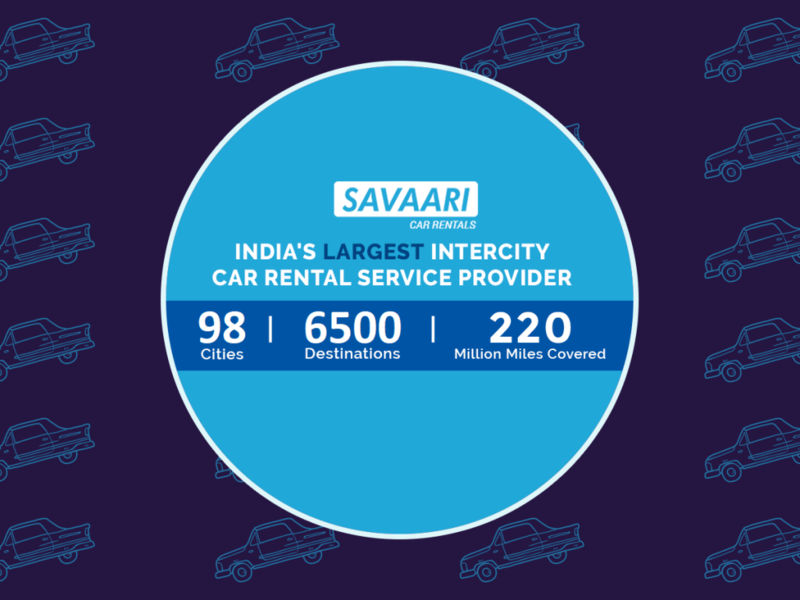 Savaari Car Rentals is India’s premier intercity car rental service provider that provides chauffeur driven cabs in 98 cities across India. Primarily an Intercity travel company, Savaari’s customers spend upwards of 5 hours on an average within a cab each day. The car and the driver thus become integral actors in the customer’s multi-day journey; be it a vacation or a business trip. It is to leverage this significant captive customer time within a car that Savaari tackles the aforementioned conundrum in an alternate fashion- by moving away from a cost-based offering to a full value-based service offering. In conclusion, with a mission of inspiring India to travel by road, Savaari is on an ambitious journey of walking the tight-rope in keeping all its key stakeholders happy. And it has the right ingredients that ensure its success. In the wake of strong dissent expressed by Indian Taxi drivers, it is worth asking whether the aggregator model is one which can keep both the customer as well as the supplier (the taxi driver, in this case) happy?